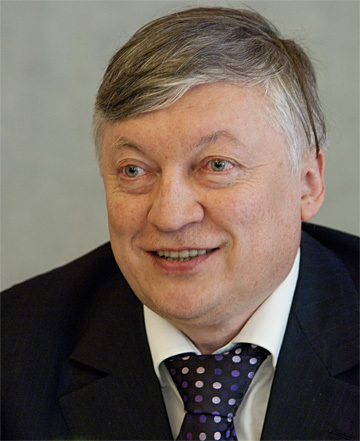 Channeling Glickman's original version of the chess blog, I present the following photo caption contest. 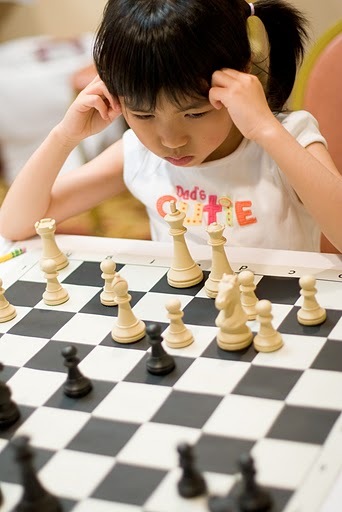 The photo is of Carissa Shiwe Yip at this weekend's 2011 Mass Open Championship. The photo was taken by Tony Cortizas, Jr. and is my favorite of the bunch he took from this event. More photos to come in a follow-up report on the tournament. 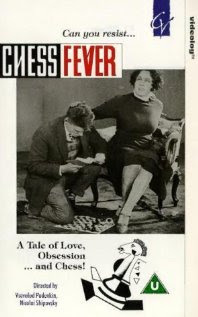 The Boylston Chess Club library has recently acquired a DVD transfer of Chess Fever, a 1920s silent film starring Capablanca, and The Great Chess Movie, a documentary that interviews Fischer, Korchnoi, Karpov, etc. 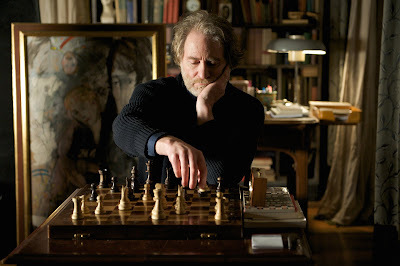 While the Great Chess Movie is fine and interesting, the real gem is Chess Fever. This silent film is hilarious, and a "chess widow's" chance encounter with the World Champion Capablanca ends the film with a funny surprise. The following players have already paid their $10 to play in this weekend's $10 Open. Have you? Prepare for the Mass Open Championships by playing at the Boylston! Hikaru Nakamura has leapt into the #6 spot in the FIDE live rankings. Kamsky's defeat of Topalov pushed Hikaru into the #7 spot. Now, Ivanchuk's stumble at the Capa Memorial in Cuba has allowed Hikaru to slip into the #6 spot. This week will be a major determinant of Hikaru's place in the top 10, as he plays an important match with Ponomariov in Saint Louis. Even a small plus score should propel Hikaru into the #5 spot. If he can gain 8 rating points, he would roll ahead of Krammnik (!) for the #4 spot in the world. A absolultely horrible result could drop him back to #9-10. 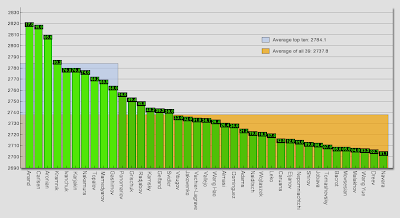 The 5th Grand Prix ended this weekend with 30 players taking advantage of the cheap, high quality chess. 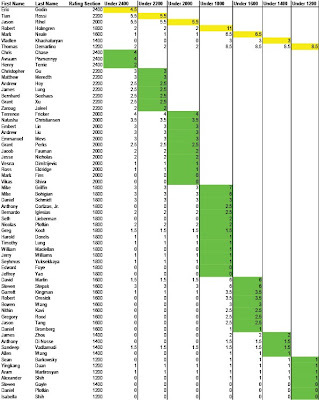 Some of the leaders cemented their lead, while other players have jumped into the lead for the first time (Click to view a larger version). Keep this in mind -- you don't have to play all the Grand Prix events to be among the leaders. Many players have only played in 2 or 3 of the 5 events and are sitting on the first prize. Strong players over 2000+ especially have ample opportunity to rack up points and catch the leaders. How do you like the Grand Prix format so far? 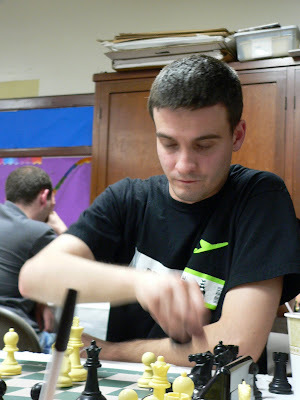 Senior Master Denys Shmelov is one of the strongest players in the area, winning the Massachusetts State title in 2008. His 2500+ rating puts him safely in the top 100 ranked players in the United States. He is also a regular and former all-star on the Boston Blitz, and he recently earned a GM-norm at the 2011 Berkeley International. His lecture will cover the important topic of prophylaxis, providing examples of quiet defensive moves that clamp down on the opponent’s counterplay before pressing a more ambitious attack. 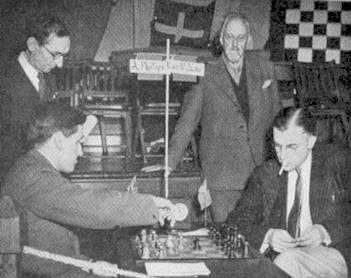 A simultaneous exhibition will promptly follow the lecture, (at least 6 players). Attention-- Because of the Mass Open State Championships at the end of this month, we have placed our 5th Grand Prix event on this upcoming Saturday. The entry fee is a low, low, low $10 for non-members; $7 for members. Check out where you are in the standings: (click on chart image below to expand). As you can see, it is still very close in all of the sections. Remember, unforced half point byes don't count to your totals, and U1800 sections only count to the U1800 and lower prizes. Luckily, the Grand Prix doesn't end today -- it ends in December -- so everyone has plenty of time to catch the leaders in all of the sections. One note about ranking-- all the prizes are equal in value, so the leaders are arranged to maximize winners with the highest possible scores. For example, Tian Rossi and I are technically in 1st place for the U2400 prize, but we also can receive the U2200 or the U2000 prize. Since Eric Godin, at 4.5 points, is the 3rd highest score, he gets the U2400 prize while we get the lower prizes. 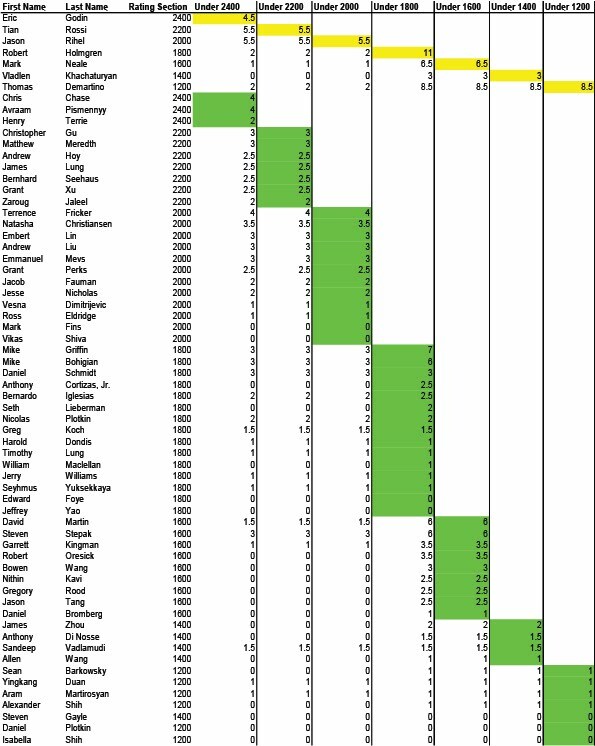 If, however, an U2000 player had more points than Eric, say, 5 points, they would be awarded the U2000 prize, and Tian and I would get U2400 and U2000 slots. Boylston Chess Club player Andrew Liu visited Texas and gave a strong showing at the K-6 National Championships, tying for 2nd place! With 4 wins and 2 draws, Andrew's rating has soared over the 2000 mark . I played him only a few months ago, when our ratings were more even, and I was happy to make a draw. 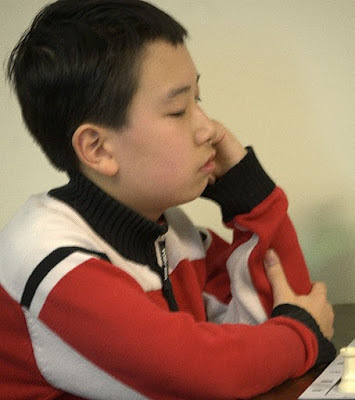 With this strong showing at a National tournament, Andrew is clearly making great strides in his chess play in a very short timespan. Great job! Steve Stepak offered this example of a coffeehouse Catalan. 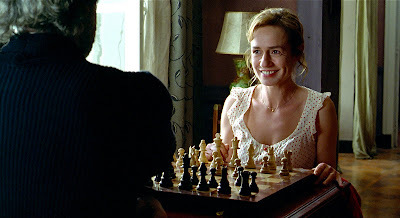 'Queen to Play' is about a French maid who learns the game of chess, which transforms her life. It is rare to have chess treated so seriously by the movie industry, so I highly recommend everyone go see this film. From the trailer, it looks great.